As of 2015, the projected market share was 11.67 billion by the year 2022. Global essential oil market demand was 165.0 kilo tons in 2014 and is expected to grow at a CAGR of 8.6% from 2015 to 2022. Your health and wellness readers are part of this market share. Knowing this, I've created another set of informative articles for you to earn from online. This private label rights content pack will contain a total of 10 articles. 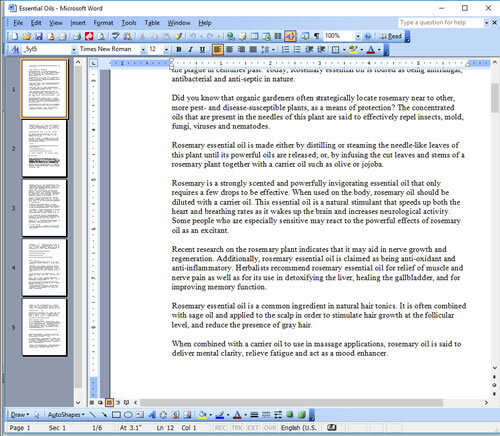 The total number of articles in this content pack is 10. The word count is 5,799. Delivery is an MS Word file containing 17 pages. Your Health and Wellness Readers Want and Need this Information! Here's a screen shot of the content in production. The total number of articles in this content pack is 10. The word count is 5,799. Delivery is an MS Word file containing 17 pages. Be one of the first to grab this deal! 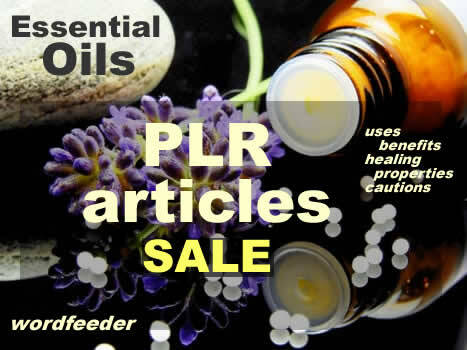 PS: Did you know that we have a ton of FREE PLR content that I add to on a regular basis? Once you check out via PayPal, you'll be able to log into your Wordfeeder member account to access this plus ALL the extra free content I throw in just for being on my list. Simply go to the top menu and look under FREE PLR to see a list of awesome content to download right now! THANKS for purchasing PLR content from Wordfeeder. I hope you find value in this excellent quality essential oils content that I've created for you. And THANK YOU for supporting my freelance business. CHEERS to you in yours!